The National Contact Centre (NCC) is a business unit located on the 2nd Floor of the IT Center. 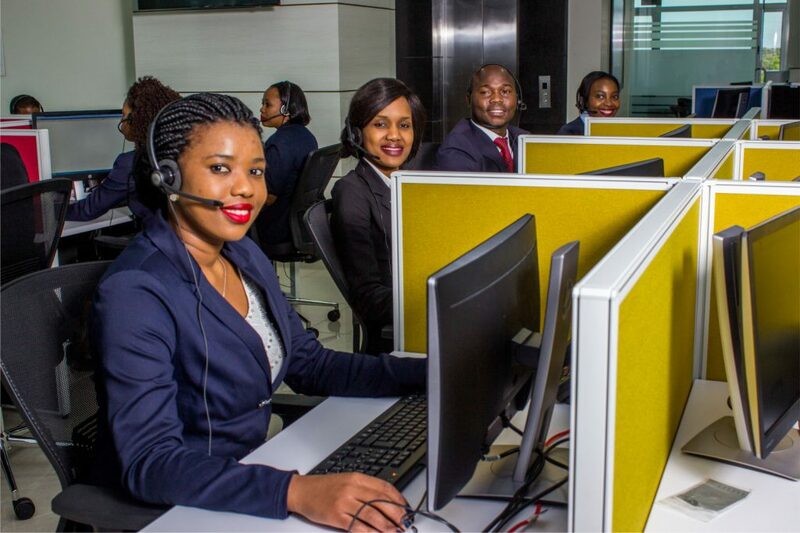 NCC is one of the many initiatives taking the country to the world class status and it is Swaziland’s first National Contact Centre that offers world-class business process outsourcing solutions. The Centre seeks to address issues that arise from the rapid changes taking place in the business environment, these include political, economic, regulatory, environmental, social, legal and technological changes. To address these changes the center uses the latest Innovative technologies and a highly skilled workforce to steer businesses forward through offering outsourcing solutions whilst businesses focus on their core business. This offering goes a long way in positively impacting revenues and improving operational efficiencies within the business communities locally, regionally and globally. The Center offers organizations the opportunity to outsource tasks like billing, purchasing, data entry, data management, surveys, payment processing, quality assurance and accounting support to help keep the business running smoothly. This includes social media, live chats and other web-based campaigns.